A court date has been set for the UK's largest ever investigation into the illegal exportation of e-waste. A total of 14 individuals and companies accused of illegally exporting waste electronic and electrical equipment (WEEE) from the UK to developing countries, are due at court on 17 October 2011. Sarah Chare, head of the national enforcement service at the Environment Agency, says this a crucial investigation and the first intelligence-led case of its kind. Defendants appeared at Basildon Crown Court on 8 April 2011. Some pleaded not guilty while others opted not to plead, pending legal argument. All defendants face charges related to illegally shipping waste under the Transfrontier Shipment of Waste Regulations 2007 and European Waste Shipment Regulations 2006. 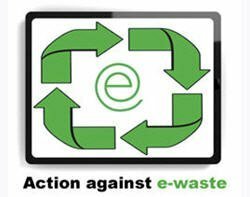 Chare advises businesses to be vigilant when choosing e-waste disposal contractors as a legal duty of care is required by law. "There are clear environmental consequences of dumping computers and monitors abroad. But it also has reputational and security implications for businesses," said Chare. "If you're a large business and the computers you procured to be disposed of turn up in Africa, that's going to hit the news. There's also great concern from a security perspective as criminals are accessing data that hasn't been appropriately wiped off machines. All these impacts are why we've upped our game," she added. See Computer Weekly's campaign for Action Against E-Waste.